Liverpool manager Jurgen Klopp told reporters that he feels sorry for Premier League rivals Man City after a Champions League quarter-final win slipped from their grasp. Klopp could meet the winners of that game Tottenham in the Champions League final. Liverpool boss Jurgen Klopp has expressed his delight after the Reds managed to secure a 2-1 triumph over Fulham in the Premier League this afternoon. Manchester City have reportedly joined Manchester United in the race to sign Federico Chiesa from Fiorentina at the end of the ongoing campaign. Chelsea defender Antonio Rudiger has heaped praise on manager Maurizio Sarri following the club's back-to-back league wins over Tottenham Hotspur and Fulham respectively. 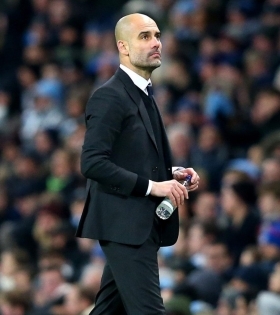 Manchester City boss Pep Guardiola has said that Liverpool remain the favourites for the Premier League crown despite only managing a goalless draw against Manchester United on Sunday afternoon. Liverpool have the opportunity to leapfrog Manchester City to the top of the Premier League table when they face arch-rivals Manchester United on the road this weekend. Premier League holders Manchester City are reportedly considering another raid on Leicester City with left-back Chilwell on their wishlist for the winter transfer window. Manchester City are reportedly keeping tabs on the proceedings of Real Madrid midfielder Isco, who is understood to be looking for a way out of the Bernabeu. England international Raheem Sterling has ended the long-term speculation over his future by penning a fresh long-term contract with Manchester City. The stunning manner in which Manchester City tore Southampton to shreds at the weekend certainly had fans of the champions chirping. Rightly so, Pep Guardiola’s men were on fire. In this form, there are few teams in world football who can live with City. Manchester City manager Pep Guardiola believes Tottenham Hotspur boss Mauricio Pochettino is good enough for Real Madrid, saying the 46-year-old is “already a top coach”. Manchester City manager Pep Guardiola is not desperate to sign a new central midfielder when the transfer window reopens in the New Year. Promising Chelsea winger Callum Hudson-Odoi is reportedly a transfer target for Borussia Dortmund, amid a lack of game time in London. Manchester City have been named as a likely destination for Juventus left-back Alex Sandro in January, with Turin newspaper Tuttosport claiming that the 27-year-old could end his stay in Italy this winter. Premier League holders Manchester City are reportedly planning a winter approach to pursue former Chelsea and current Bournemouth defender Nathan Ake. Manchester City have reportedly opened up contract negotiations with Leroy Sane following his impressive form for the Citizens over the past 18 months.